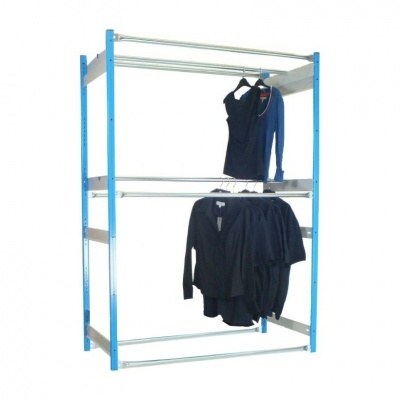 Double depth garment racking for storing clothes in retail stockroom or warehouse environments. 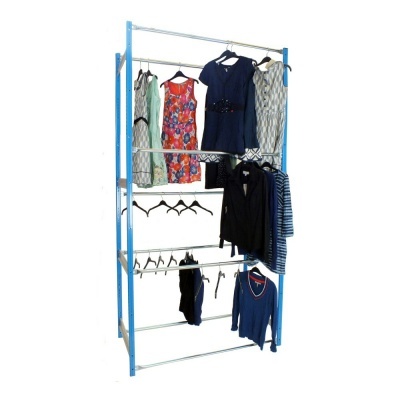 This 2-tier unit is available in 3 heights, 1830mm high bays are perfect for storing smaller items up to a typical T-shirt size, taller bays are more suited to storing longer garments such as coats and dresses. 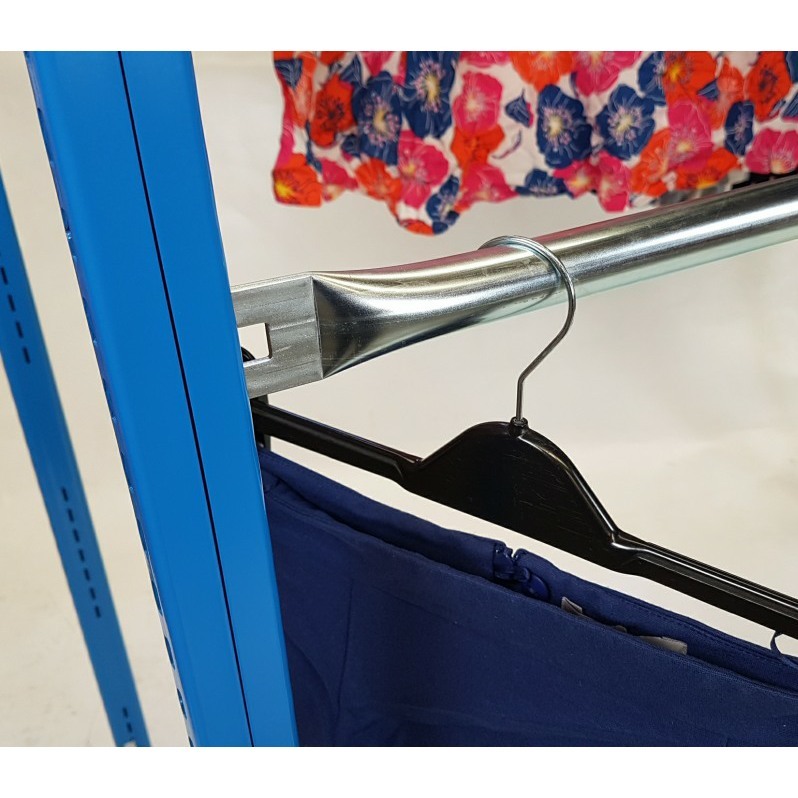 To create a long run of this style of garment racking, simply order a full starter bay then add cheaper 'Add-On' bays as required. Item shown in photograph is H1830 x W1220 x D610mm. 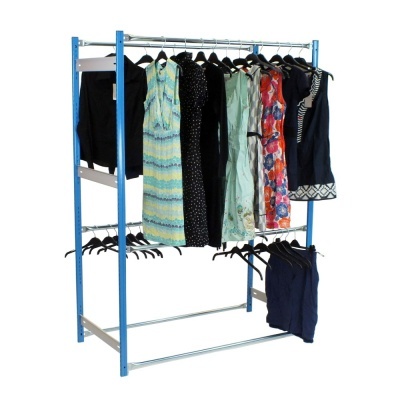 This rack must be fixed to the floor or a sturdy wall, if you are unable to do this please call to discuss other options. As of 25/04/2017 the specification of this unit has changed, chipboard shelf levels are no longer supplied as standard. 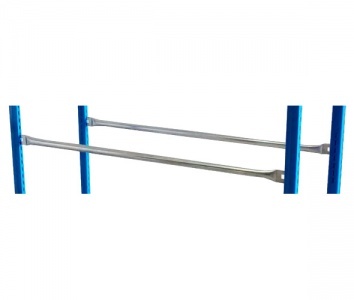 If you require something different from that shown please contact us for a quote.